Uttanpadasana (उत्तानपादासन – Uttanpadasana In Hindi), also called Raised Legs Pose, is part of a digestive/abdominal group of asanas. The asanas of this group strengthen the digestive system. These asanas are extremely beneficial for lower belly fat and flat stomach. The Raised Legs Pose is popular among those who are interested in weight loss or reduced belly. Uttanpadasana is made of words ‘Uttan’ which means raised, the word ‘Pada’ meaning leg and the word ‘asana’ meaning posture. In this yoga pose, the legs are raised upward that’s why it is called Raised legs Pose. Keep the legs straight, stretched and together. The arms should be by the sides and palms facing down. Inhale, raise the right leg as high as is comfortable, keeping it straight. Keep the left leg straight and on the floor. Hold the breath if the posture is to be retained for just a few seconds. Breathe normally if the posture is retained for a longer period of time and holding the breath is not possible. Maintain the awareness at the lower abdomen, on the stretch in the raised leg, hip joint and back muscles. Exhale and brings the right leg down on the floor slowly. Repeat the same procedure with left leg. Lie on the Yoga Mat in the supine position. Legs should be straight, stretched and together. Inhale, raise both the legs as high as possible keeping them straight. Maintain the awareness at the lower abdomen, on the stretch in the legs, hip joints, and back muscles. Exhale and brings the legs down slowly on the floor. Once the practitioner has developed the strength enough to hold the pose for a good period of time, the same asana can be done by raising the legs at different angles from the floor. One can hold the pose at 30 degrees, 45 degrees and also 60 degrees from the floor also, maintaining the awareness of the stretch in the abdominal zone. Uttanapadasana should not be performed by the people suffering from High Blood Pressure. This asana should not be performed by people suffering from severe back conditions. Avoid this asana in case of abdominal injury or pain. 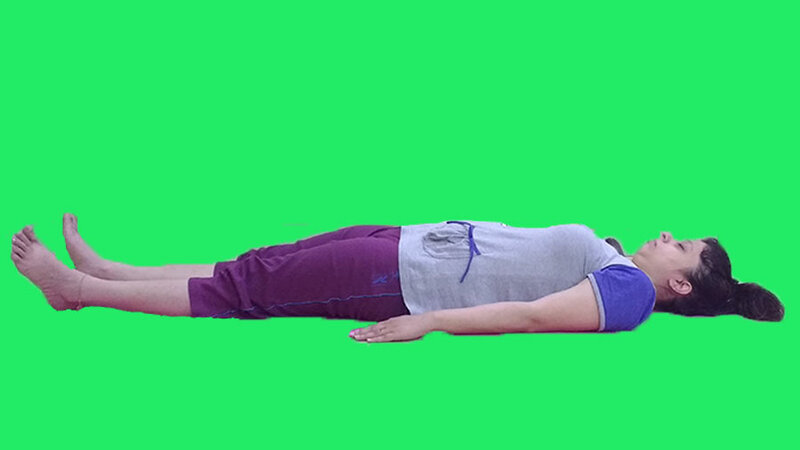 Uttanpadasna is great Yoga pose for weight loss, especially the lower abdominal area fat. It helps to burn the fat of lower belly region. Regular practice of this asana will help to strengthen the lower back muscles, pelvic muscles, and perineal muscles. Uttanpadasana help in balancing the navel and helps overcome such condition. It helps to strengthen the abdominal muscles, further resulting in a strengthened digestive system. Uttanpadasana is generally done in combination with Halasana & Sarvangasana depending on the capacity of the practitioner. A beginner should first practice Eka Pada Uttanpadasana and then Dwi Pada Uttanpadasana (once the muscles of the abdomen are strong enough for it).